It seems like more phone manufacturers are opting for in-display fingerprint sensors for actual physical ones. Qualcomm released a new in-display fingerprint sensor that uses ultrasound, that makes reading fingerprints more accurate and secure. The current lineup of phones that use in-display fingerprint hasn’t been able to implement them properly. 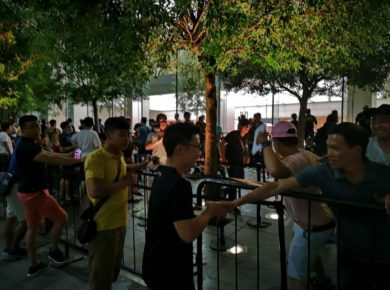 The fingerprint readers on the Vivo U21X, the Mate P20 Pro, and, the OnePlus 6T, simply aren’t as accurate or fast as they should be. These phones require users to press a bit harder than normal or place the thumb at a certain angle. The latest technology will utilize ultrasound waves to make the fingerprint reader faster and more accurate. Ultrasound technology will render a 3D image of the fingerprint. Another major benefit of the fingerprint scanner is security. Traditional fingerprint scanners can easily be hacked by Artificial Intelligence systems. The flaw lies in the way most biometric systems operate. Biometric systems do not depend completely on a full fingerprint. Instead, they take a partial fingerprint to identify the user and then give access accordingly. Majority of biometric systems allows users to send multiple “snapshots” of their fingerprint. The technology is called the 3D Sonic Sensor. This latest in-display fingerprint reader technology will allow users to access their devices even with wet fingers or grease on them. This technology can even be used on metallic phone bodies. So users will be able to use the fingerprint scanner if it was beneath the phone’s body. So a fingerprint scanner dimple won’t appear on the phone’s back. This will make the phone appear much cleaner, simpler and more uniform. But phone manufacturers will still need to mark a spot to show users where the scanner actually lies. They could maybe put their brand’s logo on the phone’s back, and put the scanner beneath the logo. Qualcomm hasn’t revealed which smartphone manufacturers will get the ultrasound fingerprint reader. Some rumors suggest it might be coming to Samsung Galaxy S10. Samsung’s next flagship device will be released somewhere between April and March. A study by analytics firm IHS Markit suggests that 100 million phones will be shipped with in-display fingerprint sensors by 2019. Smartphone manufacturers are favoring in-display fingerprint scanners because they take much less space than “normal” fingerprint scanners used on smartphones. The ultrasound fingerprint sensor will generate sound waves that bounce off of fingers. These sound waves are so sensitive that they will bounce off differently depending on the grooves present on a person’s fingers. The soundwaves will even be able to detect blood flow within a finger. The reader will be powerful enough to detect pores present on the finger. The fingerprint reader will reject prints from an injured finger. 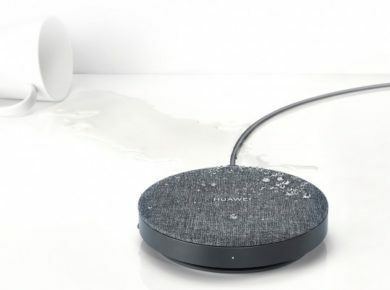 Although the technology is quite secure, theoretically speaking, it will still require thorough real-world testing before it can be installed in the upcoming line of smartphones. 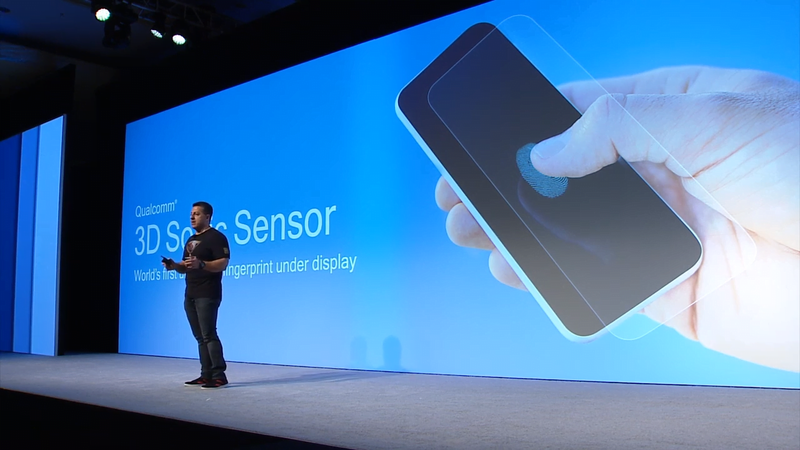 Qualcomm’s ultrasonic fingerprint reader will work with mobile payment services as well. This gives it an edge over facial recognition systems in Android phones. Let’s see how well Qualcomm finetunes the technology and how it will implement in the upcoming line of smartphones.